At the Fence: Shabby Apple Giveaway! How many of you have ever visited the Shabby Apple website? They have some really nice dresses and skirts. I like some of their vintage clothing! My daughters like several of their outfits too! Here is what they are going to do, I was allowed to choose one dress as a giveaway for my neighbors! I will be honest, it was not easy deciding on which one. I chose the "Heart of Me" dress, available in the Shabby Apple Vintage Style. I am sure many of you will like this one! It just looks great for summer. Short sleeves, light weight and 100% cotton. 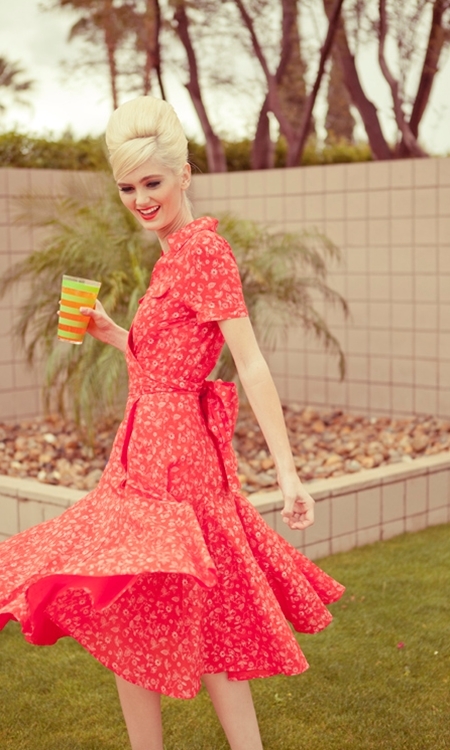 There is just something about vintage style clothing that is so feminine. All my daughters enjoy that type of look. The soft, feminine style. My youngest especially likes to wear very girly clothing and accessories, especially to church. She will even sleep with curlers in her hair. LOL! Do any of my neighbors enjoy the vintage look? Be sure to enter this giveaway then! I have added a couple of family favorites below, but the giveaway is for the beautiful red dress above! These two would definitely be on my daughter's want list. Long and lovely! Be sure to enter this giveaway and then share the Shabby Apple giveaway with others! Thanks for visiting today! Disclosure:I received no monetary compensation for this post. I received no product for review. All quotes in red are taken directly from the sponsor's website. All thoughts and opinions are my own. I like the through the looking glass necklace. 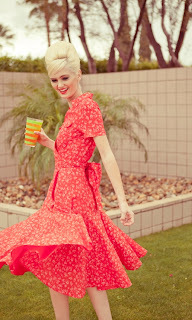 I love the Gondola dress...so cute with the green top - it is the perfect pop of color for the summer. I like the Desert Modern dress! I like the dress Yellow Days from Shabby Apple it is very pretty.. So many beautiful things. I like the BLUE EYES dress. I like the Marco Polo dress - classy! Ooh! Love that Alto Sax cocktail dress! Gorgeous! I love the Alto Sax cocktail dress! I like the Martha's Vineyard dress! I love the simplicity of the sea breeze dress - gorgeous! I love the Bon Voyage! I love, love, love Eye Candy! Oooh, my fave is the Alice Dress! I love the Blossom skirt! I really like the Lifetime of Love dress-it's so unique! I like the Aloha dress. almach56 at aol dot com. I like the Orchid dress! I also love the Hyacinth Top. I love bows and my wedding dress had them everywhere. I would love the dress being given as well as the Hyacinth Top. I love the Inca Trail dress.